But the Yous, who lived elsewhere, really did NOT! The Yous hated elections! The whole election season! Do you have to ask why? Everyone knows the reason. The candidates’ heads weren’t screwed on just right. And possibly too, their toupees were too tight. May have been that their hearts were too small. The Yous stood through the election, hating the whole group. From Trump to Rubio to Carson and Cruz. From Jeb Bush to Christie, and Hillary too. None of them could stand them, not one single You. Was a gruff white-haired man who liked the Yous’ middle-class town. He promised to hold those Wall Streeters accountable. And make the income and wealth gap less insurmountable. For the Yous were starting to prod and to poke, And to consider Trump’s campaign quite a big joke. The Trump got A WONDERFUL, AWFUL IDEA! But the Yous laughed even harder at the great Trumpy Trump. And his polls started crashing way down to the dump. Without Bernie or Hillary lifting a finger. Trump’s campaign would hopefully not linger. He realized that perhaps he had misjudged them all. They don’t want a candidate who acts like a jerk. They would rather have one who puts them back to work. Tho it’s hard to imagine him negotiating with Merkel, Or facing the Syrians and Putin, that jerk-l. The Yous were happy that Bernie had entered the race. For he truly wants to make the country a better place. Is that the GOP might still elect that man Trump. Several candidates were blathering through all the debates. In hopes that eventually, someone would care. We groaned as we watched them bluster and fail. We had settled in for a long winter’s nap. Because we’d already had too much of their crap. We turned on the TV to see what was the matter. Clicked to CNBC, where they were talking about cash. And continued to groan at that whacko Ted Cruz. But a gruff white-haired man, who gave us reason to cheer. He was a politician who was no ordinary attorney. A democratic socialist with the first name of Bernie. He really was a breath of fresh air. Far different than Jeb Bush, Christie and Cruz. From Trump, Rubio, Carson, and Hillary too. Or facing the Syrians and Putin, that jerk-l.
It’s good that he’s challenging the bankers and Fed. It helps give our economy a little more cred. Is that the GOP will choose that man Trump. 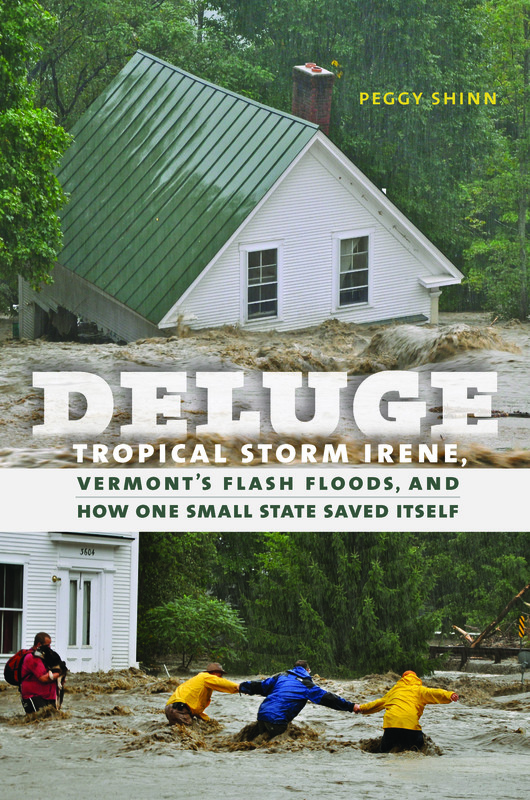 If you’d like to buy a signed copy of Deluge, I’ll be at the Rutland Library on Saturday, April 25, 2015, from 1-5 p.m. for an Author Event. Lindsey Vonn returned to world cup competition this season after almost two years away. And she’s ending the season having earned 8 more World Cup victories, a sixth world championship medal, and two more crystal globes to her collection. She now has 19—four large globes for the overall title and 15 smaller globes for overall wins in downhill, super-g, and combined. So where does Vonn stash all this lead crystal, made by Bavarian glassblower, JOSKA Kristall? Some of her globes are still in their hard-shell cases. But when Vonn returns to her home in Vail this spring, she will put all 19 into a new trophy cabinet that she had built over her fireplace. That’s just the way the display lights fit above her fireplace, she said. She could either commission a case for 17 or 23. “I said 23, make it bigger.” She then added that the trophy case can be made even larger if needed. But asked if she is shooting for his other major record — 86 World Cup wins — Vonn demurred. To win 19 more World Cup races (she already has 67 wins), Vonn would need to win seven more next year, seven the year after, and six in the 2018 Olympic year (she has stated that she will compete at least through the 2018 Olympic Winter Games in South Korea). Vonn, now age 30, won eight World Cups this year. The most she has ever won in one season is 12 (during winter 2011/2012), and she has won at least six every year since 2007/2008 (excluding 2014, which she sat out while recovering from two knee surgeries). Like lots of glittery crystal to place over the fireplace.